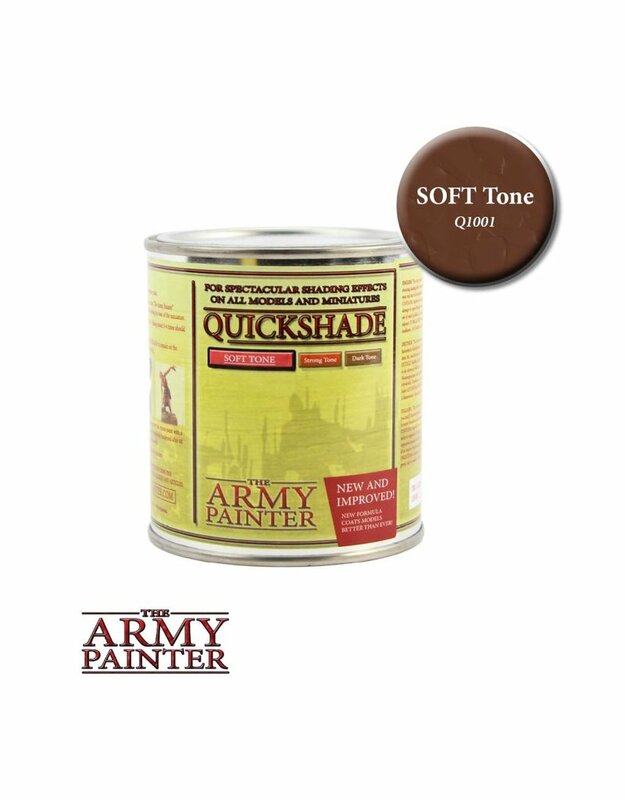 Quickshade is the lightest of the 3 types and is usually better suited on lighter colours. Especially light flesh colours, pink, yellow and white. If you do not necessarily want a sharp and dark shading on your miniatures, but instead prefer the lighter look - the SOFT Tone is your choice.